The Civil Services examination that selects the top bureaucrats in the country is likely to see major changes that includes reduction of upper age limit and removal of an optional paper in the mains , to ensure level-playing field for all the aspirants. The recommendations were made by the Baswan Committee, which is yet to be made public. 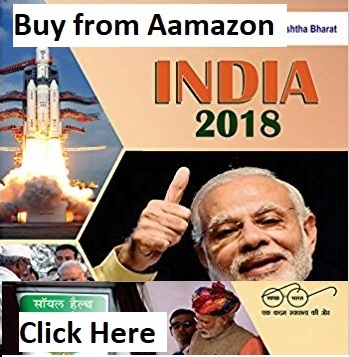 However, sources said it has been forwarded to the Department of Personnel for taking a final decision on the same and its consequent implementation. It is widely believed in the official circles that the above two key recommendations may be accepted. 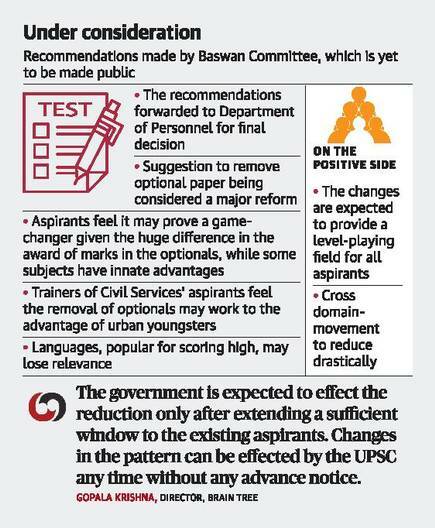 The suggestion to remove the optional paper is being considered a major reform for which the Baswan Committee depended on the feedback from aspirants, who overwhelmingly supported it when the committee sought their responses online. 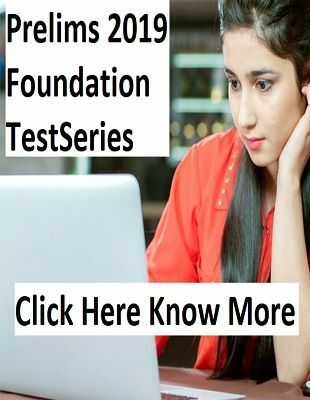 Most aspirants feel it would be a game-changer as there is a huge difference in the award of marks in the optionals, while some subjects have innate advantages. “The availability of coaching and study material, and the scheme of awarding marks, make some subjects more popular,” agrees Vikas, an aspirant. The trainers of Civil Services’ aspirants feel the removal of optionals may work to the advantage of urban youngsters since it would test their general knowledge and would be on other governance-related subjects like public administration and law. The languages that are quite popular for scoring high, may lose relevance now, feels Gopala Krishna, director of Brain Tree. He says literature and popular optional subjects would lose relevance too. On the positive side, however, it would provide a level-playing field for all the aspirants since the cross-domain movement would reduce drastically. In fact, the Alagh Committee report in 2000 also suggested the same. It recommended that the optional subject be removed from the mains while continuing the same in prelims. It also suggested that the Civil Services Aptitude Test (CSAT) be introduced. At last, the CSAT was introduced after the Khanna Committee report recommended the same in 2010. However, it was made just a qualifying exam after an uproar that urban aspirants and those educated in English medium had an edge in the CSAT. The upper age limit has always been based on political expedience than the technical considerations. For many years, the upper age limit was 30 years for general category candidates, 33 years for OBCs and 35 years for SC and ST candidates. This was increased to 32, 35 and 37 respectively with additional attempts in 2014 by the then UPA government after an uproar over CSAT. “The government is expected to effect the reduction only after extending a sufficient window to the existing aspirants. 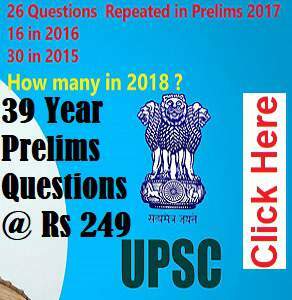 Changes in the pattern can be effected by the UPSC any time without any advance notice and may be given along with the notification,” says Mr. Gopala Krishna.